In the following chapters, you will learn how to recognise and distinguish different elementary particles. This knowledge will be essential for the following measurements. 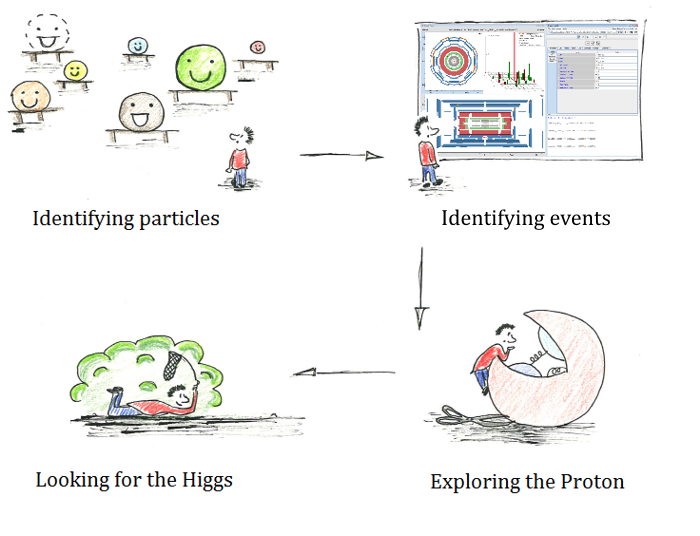 You will identify the inner structure of the proton and look for a new particle that has been seen at the LHC experiments ATLAS and CMS - the Higgs particle. Use the menu on the right or the links that are hidden beneath each step to navigate.